I've just received my Harper's Bazaar for September, and found Elle Collections at the WH Smith on Sauchiehall Street (my new favourite store), so my mind turns to adapting my wardrobe to Autumn/Winter. Though the usual suspects have re-appeared (camel, lace, masculine tailoring), there does seem to be something newish developing. The fashion-pundits are declaring the new collections to be more friendly to the way real women want to dress, and I'd have to agree. Shoes of varying heights are showing up, as are curve friendly clothing cuts, and wearable trousers (goodbye hideous harem trousers! I never understood that look - who wants to dress like MC Hammer?). 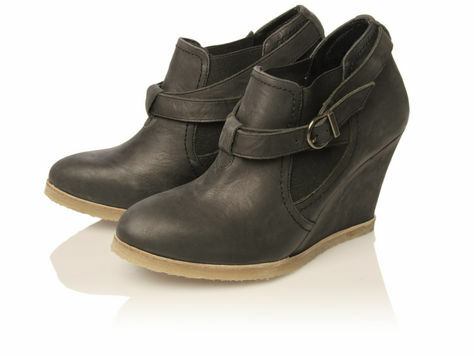 This all leads to my August wishlist, which I've pulled together with A/W 2010 in mind. First off, a new pair of trousers. I noticed three main styles: wide leg, bootleg, and cigarette pants, all of which are shapes I love, so I'm confident it will be pretty easy to find a pair I like. Being a hair under 6ft, I usually by my trousers from Long Tall Sally, but most of the high street will probably offer something good. I've been browsing M&S, but I haven't seen anything I like yet, and New Look seems to be all harem trousers and cropped jogging bottoms, but I'll be keeping my eyes open over the next month or two. 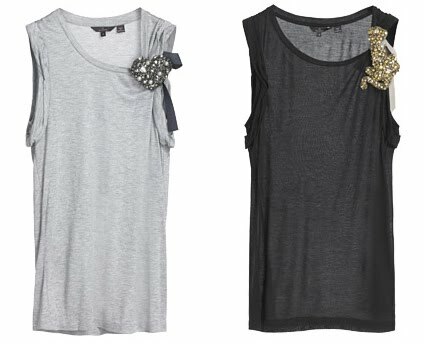 While £275 is way more than I could ever spend on a t-shirt, I can't help loving these jersey modal vest tops with a heart or leopard brooch. The best part is that the brooches come attached to a grosgrain ribbon that can be tied through the sleeve of the t-shirt, or worn separately as an accessory. Available at Mulberry and online. Ever since I was a little girl, watching old episodes of Bewitched, I've wanted a sparkling, diamond heart necklace, just like the one Samantha wore. I can't afford real diamonds, but any variation will always catch my eye. This one from Dryberg Kern is oversized and uses dark grey crystals, so it has a more moodily romantic feel. Available at Accessories Online. Everyone will be doing loads of camel coloured clothing, which is great because it's a classic colour that flatters a range of complexions and can be worn with just about anything. 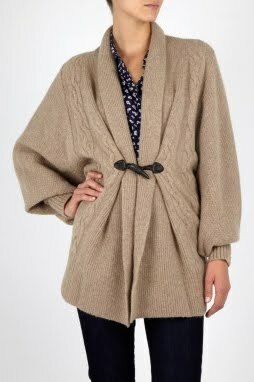 A nice camel jacket would be good, but I really like this substantial cardigan by Paul and Joe from My Wardrobe. Another forever item is the smoking jacket. I bought one from the Gap about 5 years ago, and it still looks fantastic, but if I didn't have that one I would probably get this velvet one from Isabella Oliver in berry or midnight blue.